Our workshops are fully equipped with the latest technology allowing us to take care of your bike with precision and accuracy. 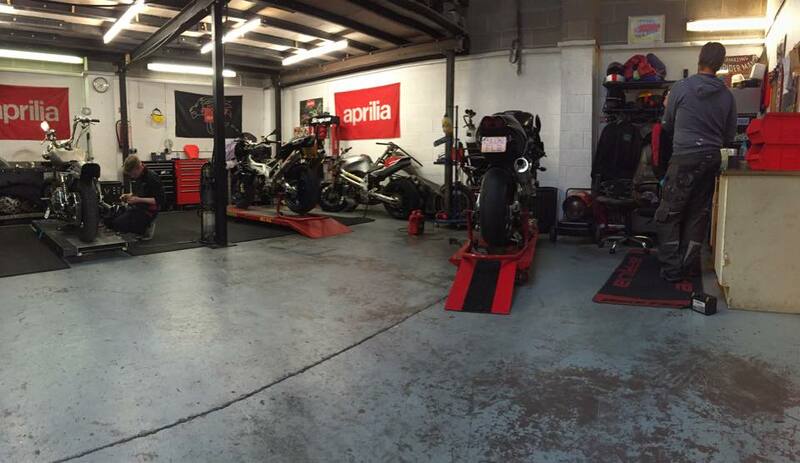 Our staff have accumulated over 15 years of Aprilia specific experience and over 30 years of generic motorcycle industry know how. Some of that experience has been at international industry manufacturer level. Aside from offering the services of our experienced technicians at a very reasonable hourly rate for Diagnostic, tuning and repair work, we also offer two fixed price service levels. Which means you can book your bike into us with confidence, knowing exactly what to expect. Interim Service or Full Service - V Twins and V4 engines the work required will be the same.